Bacteria that killed 9 babies at Rahima Moosa hospital still unknown - SABC News - Breaking news, special reports, world, business, sport coverage of all South African current events. Africa's news leader. The Rahima Moosa Mother and Child Hospital says the outbreak happened over a one year period and 28 babies have since been discharged. 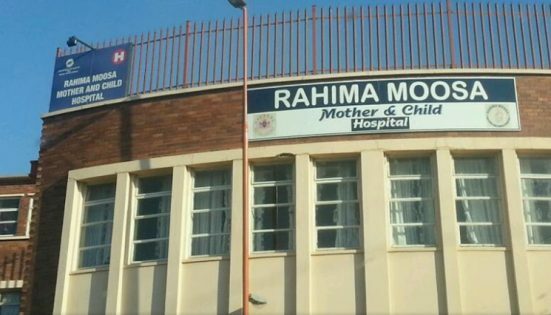 The Rahima Moosa Mother and Child Hospital says the cause of a recent outbreak in which nine babies died is still not known. The National Institute of Communicable Diseases was called in to investigate after 42 infants picked up a peculiar stomach bug. They could not find any single bacterial cause and have ruled out poor hygiene. Ninety per cent of the babies who died were born prematurely. The hospital says the outbreak happened over a one year period and 28 babies have since been discharged. The South African Human Rights Commission (SAHRC) says there is a looming crisis in Gauteng Hospitals. This entry was posted on 08 Nov 2018,04:35PM at 4:35 PM and is filed under Sci-tech, Homepage Latest Stories Slider. You can follow any responses to this entry through the RSS 2.0 feed. Both comments and pings are currently closed.